Fun with rubber duckies in Northern Europe! An art bicycle with a lot of rubber ducks in Amsterdam. 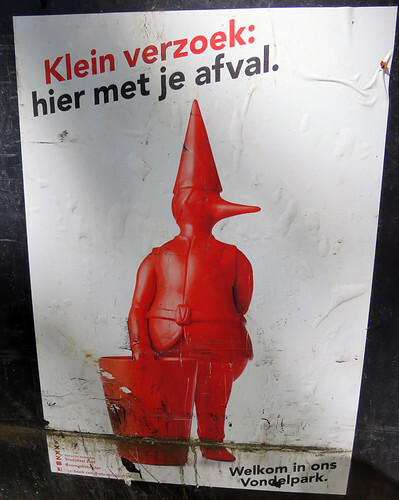 Holland seemed somewhat obsessed with people and animals transformed into bizarre half-duck creatures such as the surreal duck-person poster in Vondel Park, Amsterdam. 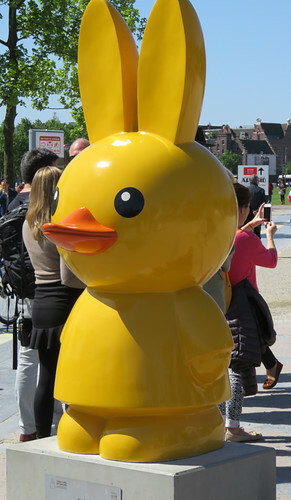 Miffy the rabbit as a duck, one of a row of Miffy statues in the museum square in Amsterdam, Holland. 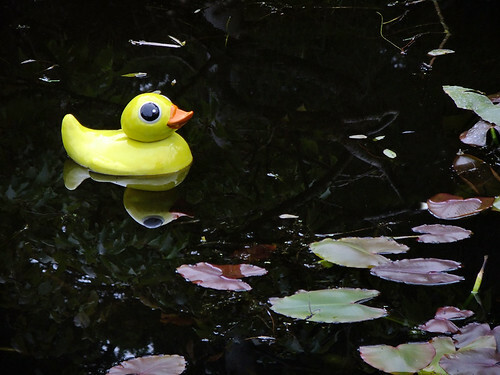 A ‘rubber ducky’ sculpture installation at Dublin’s Botanical Garden, Ireland. 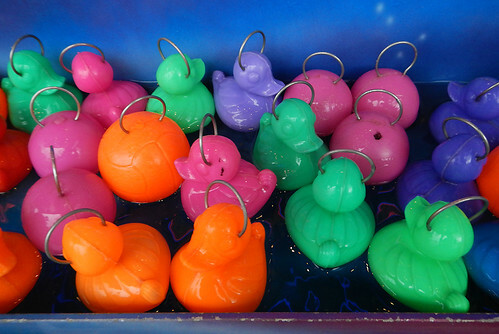 Brightly-coloured duckies in a Brugge Fair in Belgium. More of Jennifer Nichole Wells’ One Word Challenge: Duck. LOVE that decorated bike – how glorious! I have to wonder how often it gets ridden!